Thank you again to all that entered the contests for “Let’s Celebrate Day” (winners are listed below) and now that you are all wondering what you can do during these exceptionally hot days of July and August, the National Grange will again be decorating Christmas Trees to be displayed at the National Session. As such, we are asking anyone who would like to make Christmas ornaments to be donated for the CT tree. They may be brought to State Session and will be mailed to National. Also a reminder of the quilt squares contest as well. 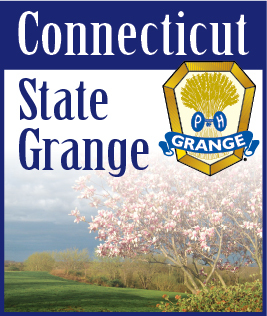 *Only the Community Grange of the winner is listed. Each entry won at their respective Pomona Grange to qualify for State Competiton. 2- Linda Beers – non-member/New Haven Cty.